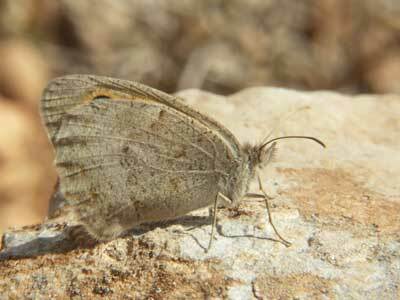 Only from Morocco, it is smaller and much paler than the similar meadow brown Maniola jurtina. 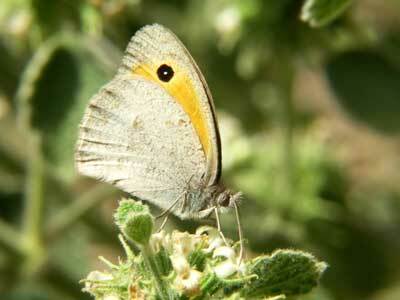 Unfortunately, despite finding many examples in the High Atlas in 2005 they were very difficult to photograph. In the Middle Atlas, they fly over grassy slopes but are not common. 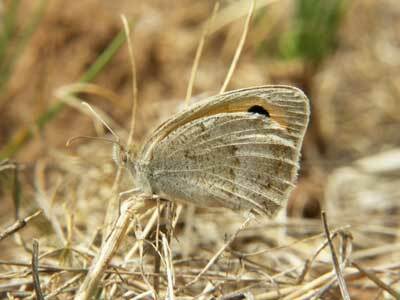 Identification & Similar species: The fairly uniform mottled light grey underside separates it from the only similar species in Morocco, the meadow brown Maniola jurtina. 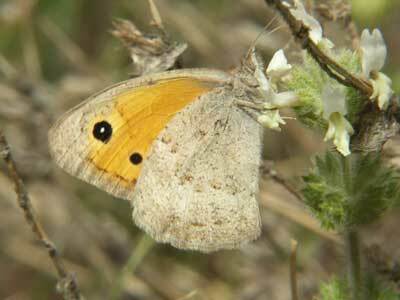 Additionally, the upperside is well marked with bright orange contrasting strongly with the brown ground colour. 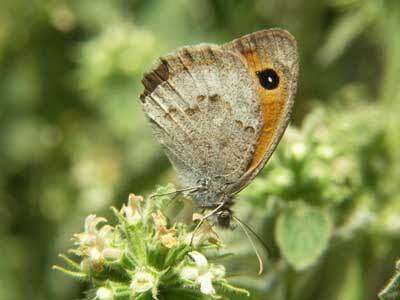 It resembles a very well marked dusky meadow brown, Hyponephele lycaon, with which it may fly. 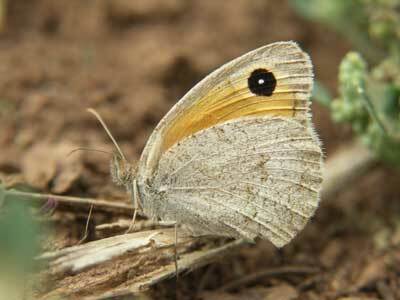 The underside in that species is rather browner, the discal line being noticeably paler on the outside. It is also a larger species. 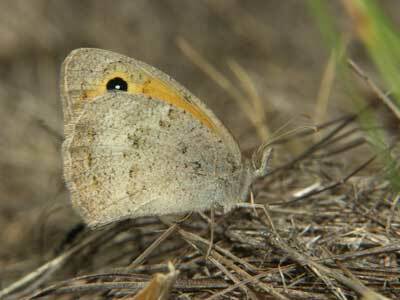 The upperside is light brown and the male scent brand is notched. Distribution & Flight: Confined to the hills and mountains of Morocco. Flies in June and into August. Habitat & Behaviour: Hot dry rocky places at high altitudes. Often amongst trees and scrub.